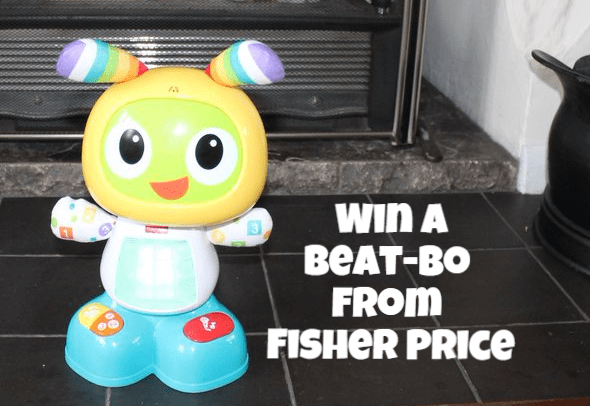 There’s a new dancing dude in our house, the Fisher-Price BeatBo, he’s a funky little thing who plays songs, dances and even remixes your own songs (or whatever you choose to say!) and plays them back to you! I will admit at first Athena wasn’t too sure when he first came out of his box, but once we’d shown her how to press the buttons and listen out for his songs and instructions she was away! 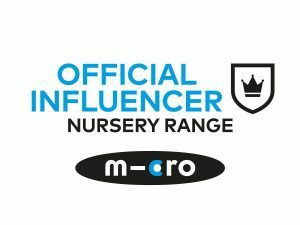 This baby toy is suitable from 9 months upwards (although Arlo is enthralled with him too even though he can’t press the buttons yet) and is still keeping Athena amused at 2 years 3 months. The games include alphabet learning, colours and numbers so is educational in a fun way. Press another button and you get the Dance and move mode, songs and rhymes that encourage movement (and a bit of adult head bopping too!) There’s once that shouts out ‘freeze’ that reminds me of party games and primary school discos too! The best bit though is the record function, press the red button, wait for his belly to go red then record a word or phrase. Beat bo will then remix it into its own funky remix, where it plays the sound back with a tune and a dance at the same time! It’s a great toy to help with patience (waiting for the red light to stop after recording) and also actions and consequences, along with dancing of course! The only niggle I’ve got is that when you’ve got the sound on the lower of the two volumes it’s a bit of a struggle to hear the sounds when Beatbo is moving as the motor that makes him dance also makes a noise. When the volume is on the highest setting you can hear everything fine though! I also have a Beat bo to give away too to one lucky winner! If you want a chance to win your own Beat Bo just enter the rafflecopter widget below! The delivery address for the winner must be in the UK. No cash alternative is offered. Prize is supplied by Fisher Price, and will be sent by myself. Competition ends on 07/10/15 at 23.00. Ahhhh this is adorable! Thank you! when he will be 9 months old.